Chameleon is a group of multi-instrumentalists who all met at the Royal Northern College of Music in Manchester. 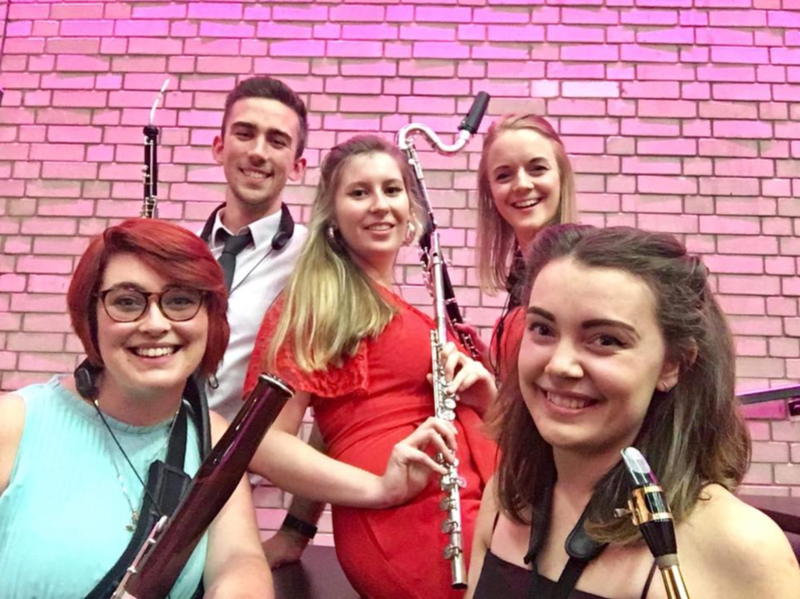 Since forming in October 2016 they have had multiple success in competitions, including winning the Brodsky Prize (2018), Trevor Wye Wind Chamber Music Prize (2017), the June Emerson Wind Launchpad Prize (RNCM 2017) and both the Audience Prize and a special commendation at the Chris Rowland Chamber Music Prize (2017). They are also busy with a variety of concerts for music societies, evening recitals and lunchtime concert series and with their educational and outreach work. In summer 2018, they became Live Music Now artists. The group is based on a traditional wind quintet, replacing French Horn with saxophone. Each member is a specialist on one instrument (flute, oboe, clarinet, bassoon and saxophone), and doubles on one or two of the others, allowing them to coach each other and develop on doubling instruments both personally and as a group. Something Chameleon is very proud of is their ability to do their own arranging, meaning they can explore new repertoire and genres according to their interests and strengths. They have more recently begun collaborating with composers to create new works specifically for the group and are looking forward to premiering them in the coming months.